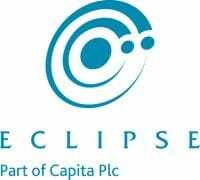 Eclipse Legal Systems, the Law Society’s sole endorsed legal software provider, has announced the implementation of its Proclaim Practice Management Software solution at Essex law firm, ESW Legal. ESW Legal is an established solicitors practice operating from modern offices in Rayleigh, providing services across London and the South East. The firm’s aim is to meet the needs of its clients in a professional, efficient and cost-effective manner. ESW Legal prides itself on its approachable and friendly service, striving to treat all clients with respect, skill, sensitivity and discretion. An out-of-the-box hosted Proclaim Conveyancing Case Management solution is being implemented across the department, serving to improve transparency and provide an enhanced approach to matter management. Risk will be effectively managed departmentally, with users to benefit from a host of tools to manage and streamline the client journey from instruction through to completion. Furthermore, the integrated practice management and accounting toolset will form a financial solution to ensure administrative overheads are significantly reduced, boosting overall efficiency and providing a detailed analysis of operations. ESW Legal has also opted for Proclaim’s integration with the Land Registry’s Business Gateway. Utilising Web Services, Proclaim will provide 2-way integration for data and documentation, providing the firm with the capability to further drive client service efficiencies.